Why Instructor-Led Training Still Matters? flexibility and content variety, eLearning advocates often claim that eLearning is actually the most effective learning method and soon instructor-led training (ILT) will be a thing of the past. While eLearning does come with its own advantages and unique attributes, it cannot replicate all the benefits of instructor-led training. In the training world, instructor-led-training is often referred to as the gold standard and we think the gold standard will continue to show its impact along with eLearning. 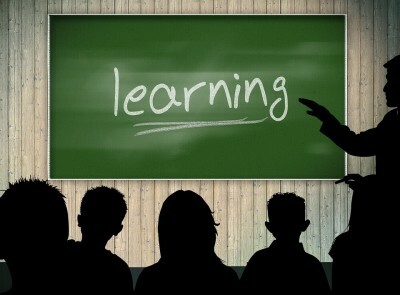 A good instructor can adapt the training content to the specific needs of the participants during a training session. For example, if the participant’s training requirements revolve around one major area of the entire training program, a good instructor will easily take that clue and deliver the content and craft his/her stories or examples accordingly. The instructor can also adapt to the learners’ level and pace of understanding and can accommodate all types of learners. In eLearning, there is a very little scope of adaptability to address such issues. There is a certain level of familiarity and comfort being in a classroom environment with an instructor available to guide and mentor. Participants can ask questions or discuss their queries in real-time, which is generally missing in eLearning. In an eLearning environment, participants, mostly work in isolation and don’t have the comfort of instructors if they are confused or overwhelmed. ILT allows individual attention from the instructor, which is not possible in asynchronous eLearning. It is very easy to divide the participants into different groups and address their specific problems or even pay attention to a single participant in an instructor-led training. An experienced instructor keeps an eye on body language and engagement signs and reaches out to participants to address their problems. Group interactions enhance learning, with participants learning from one another as well as from the instructor. With an ILT, a lot of interactions take place informally, that is during the class, at breaks or even after the class. These informal discussions are helpful to understand a topic from different viewpoints and experiences. It also breaks down the silos where participants across departments and functions can learn together and apply their knowledge collaboratively. ILT brings face-to-face interaction and real-time discussion, where participants can validate their understanding right away. Participants also receive real-time feedback, which reinforces their learning. An experienced instructor keeps the audience engaged, motivated and focused throughout the training program. One can’t simply overlook the tremendous value and advantages of instructor-led training just because eLearning came into practice.